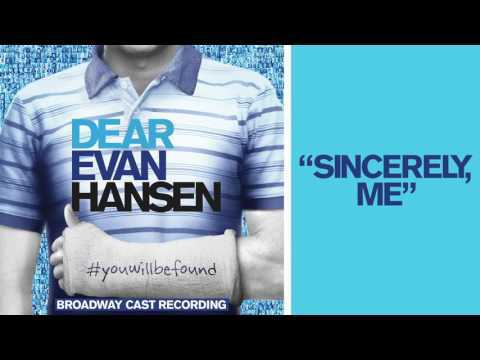 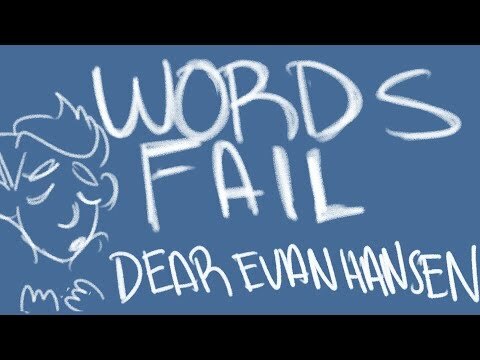 List Rules Vote up the songs in Dear Evan Hansen you just can't get out of your head (not that you want to). Dear Evan Hansen truly broke boundaries in the musical theater world by addressing often overlooked issues for teenagers like depression, anxiety, and suicide. The Dear Evan Hansen soundtrack is full of poignant songs that speak to teens and adults alike, sparking conversation about tough topics. Which songs from the show are the best? Here, you'll find all Dear Evan Hansen songs ranked by fans. The Dear Evan Hansen track listing is a real tearjerker, but the songs are memorable due to their heartfelt nature. “If I Could Tell Her” finds Evan detailing his love for Zoe without revealing the truth to her. Two mothers look for answers during the musical number “Anybody Have a Map?” Give this playlist a listen and vote up the best songs below!